The gorgeous new Compact range for Britton features stunning ceramic pieces designed with a shorter projection of 40cm to maximise the use of space in your bathroom. They are both deeper and narrower making them a beautiful solution for smaller bathrooms. All Britton Bathrooms pottery is covered by a 25 Year Guarantee. 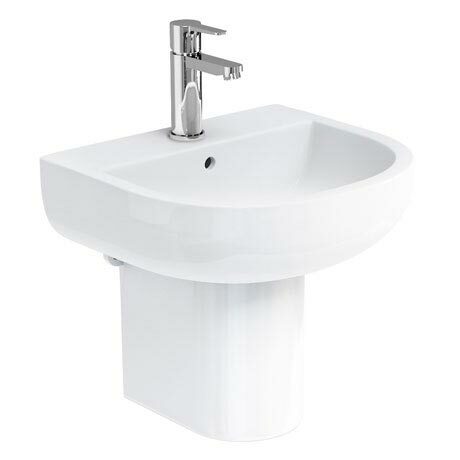 Please Note - Taps, wastes and any accessories pictured are not included and are for display purpose only. Taps are sold separately.